Pizza has always been a favorite Friday night meal in our house. We order in and enjoy a nice evening at home together as a family. We set up our pizza picnic on the coffee table in the living room and watch a movie. It's something that we enjoy and look forward to. As a frugal shopper I'm always on the lookout for great pizza delivery deals from Pizza Hut and Domino's! They are the only two places in town that deliver. I love it when I can find Domino's coupon codes as they are by far the best deals around. 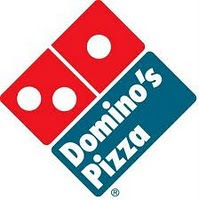 Domino's coupon code: EBCS = free cinnamon sticks at Domino's, when you order online. This CAN be combined with the above Domino's BOGO coupon code. I just placed our order and our grand total before coupons was $32.87. After coupons our total was just $17.07 for two large pizzas for dinner and an order of cinna stix for dessert! That's a great deal for a family of 4. Plus we will have some pizza left for lunch tomorrow. Yummy! Dinner is on its way! A very special thanks to Frugality is Free for sharing these great Domino's coupon codes with us! Very intersting post…. I enjoyed reading your informative article and considering the points.